Incremental gains are what the AeroGeeks are all about. A watt here and a watt there add up. At first those incremental gains are big – aero helmets, deep wheels, and new frames have big impacts on your efficiency. Next you start looking for the harder to find watts – oversized pulley wheels, latex tubes, and coated chains. And finally, you start looking for the smallest of gains and quite often these involve ceramic bearings. And while these are typically thought of in your wheel and bottom bracket bearings – LOOK thinks there are gains to be found in pedal bearings. And hence the Look Keo Blade Carbon Ceramic was born. LOOK KEO Blades are no stranger to these pages. We have reviewed both the KEO Blade 2 CR the KEO 2 Max Blade. Both of which have served on AeroGeeks test bikes long after the reviews were completed. So when we heard that LOOK had improved upon the Blade 2 we were intrigued. 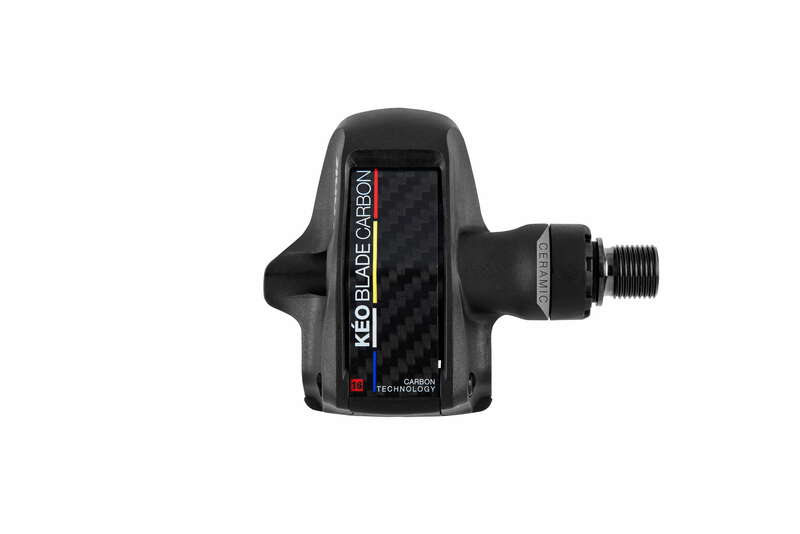 The KEO Blade Carbon Ceramic starts with the basics of the KEO Blade 2. The platform of the Blade is fitted with a 67mm-wide stainless steel plate, optimizing the cleat/pedal contact areas, regardless of pedaling angle. The result is 700 mm² of surface area. The carbon blade from which the KEO Blade Carbon Ceramic partly derives its name is 20% lighter than a standard “spring – lever”system. The carbon blade blends fluidly into the shape and volume of the pedal, improving the overall aerodynamic properties of the product. The bowing of the blade when unclipping means the required disengagement torque is reached more rapidly in the dynamic of the movement, allowing for faster cleat release. Pedaling experience is also improved thanks to a firmer lateral stop. The carbon blade is available in various stiffness options: 12, 16 or 20. (The Blade Carbon Ceramics ship with the 12 installed and the 16 in the box). The blade can be easily, intuitively and quickly (a few seconds suffice) changed depending on the rider’s clip-in / clip-out preferences. The spindle of the new Blade Carbon Ceramic has been completely redesigned. It is built around an oversized axle and spindle that passes through internal roller and ceramic bearings located directly under the pedal platform. This new construction saves approximately 2 watts at 100 rpm. The distance between the roller and needle bearings has been increased by 25%. This provides more rigidity along the entire length of the spindle, and as a consequence, improved power transmission. LOOK axles are only approved after a rotational test of 2 million cycles at 100 rpm with a load of 90 kg on the center of the pedal and an eccentric rotation (which creates stress on each revolution). This is equivalent to a sprint by André Greipel of 1700 watts at 100 rpm for 333 hours. 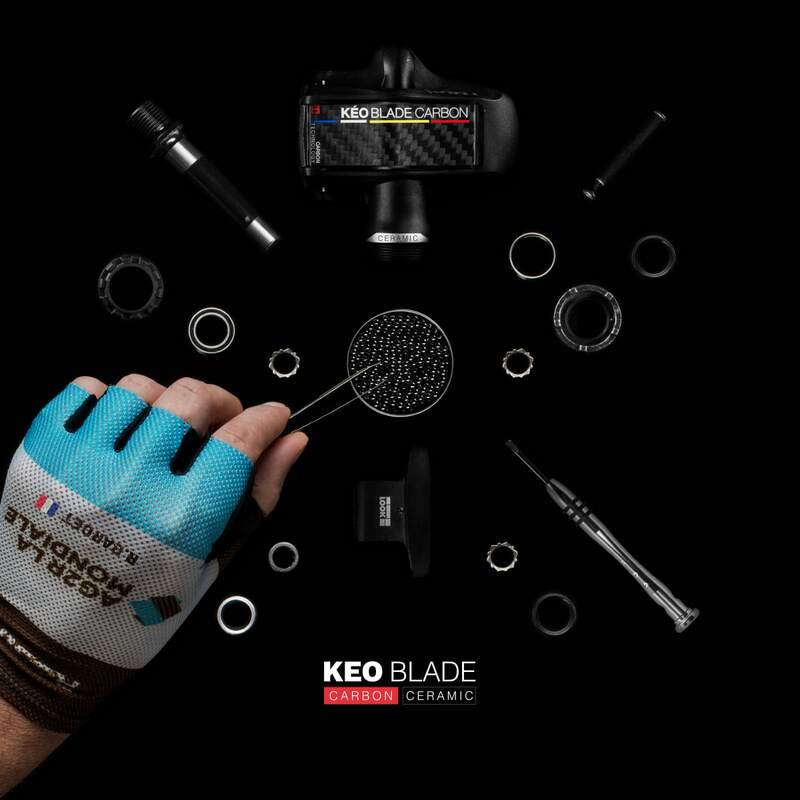 The Blade Carbon Ceramic bearings (for which the KEO blade carbon ceramic gets the rest of its name) were chosen for both their longevity and their reduced friction. Rounder and harder than traditional balls, they are less sensitive to dust or deposits and guarantee consistent, durable performance. Furthermore, ceramic is not subject to corrosion. These physical properties ensure the bearings have a lifespan 4 to 6 times longer than standard steel bearings. Reduced friction is the best-known and most characteristic advantage of ceramic bearings. The perfectly circular shape and the hardness of the balls combined with ceramic-specific, optimized greases allows for an 18% reduction of the frictional forces applied to the bearing. The pedals have a suggested price of $280 / €189.90. As we stated at the top of the article. 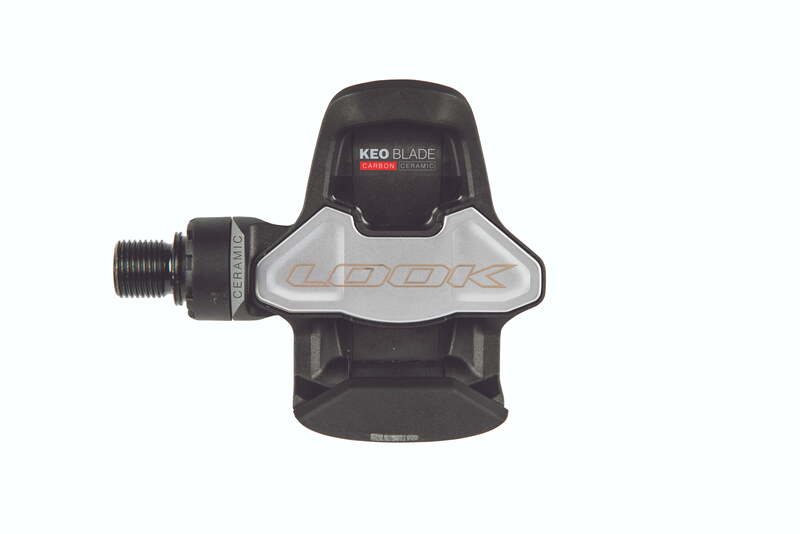 We are big fans of LOOK’s KEO Blade platform. So, a new top end addition is certainly intriguing. And while these clearly aren’t for everyone – this is a product that a time trialist or short course triathlete that is faced with podium spots being separated by seconds is going to consider. The challenge with incremental gains is always that for every gain you achieve – the next gain will be less and probably cost even more money. LOOK appears to have a solution to save you another 2 watts for a cost that is pretty comparable to an OSPW or ceramic bottom bracket. And for someone looking to move to the top of the podium that is going to be money easily spent.